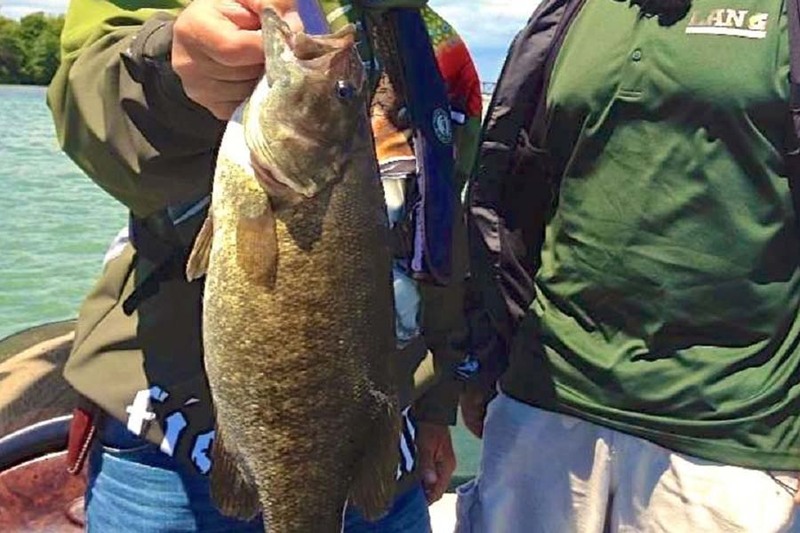 Lake Erie has been producing some record-sized smallmouth bass over the past ten years. 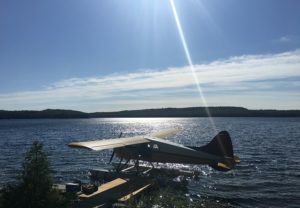 The shallow flats and rocky shoals on the Ontario side of the lake has become a favourite haunt of fly fishers who want a shot at catching smallmouth that weigh in excess of six pounds. 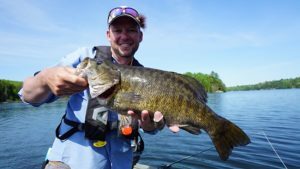 In fact smallmouth up to 8 and even 9 pounds have been caught every summer in these areas. One of the best places to go is near Krystal Beach with professional bass guide Jamie Lang who owns Lang Sportfishing & Guide Service. 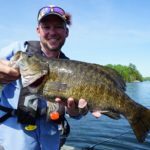 His guide service handles both conventional tackle anglers and fly fishers using large platform bass boats. 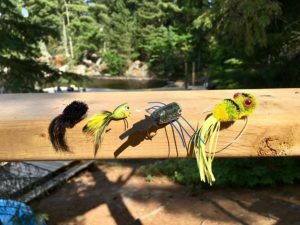 Jamie recommends you brings lots of sculpin style streamers (white, black, olive and white/silver), weighted crayfish patterns (root beer, tan, and olive) and poppers (black, orange and yellow). 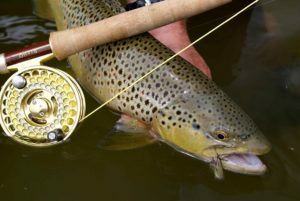 Ten pound tippet is strongly recommended for your nine foot leaders as these fish are exceptionally strong and will break lighter sizes. Six or seven weight rods are perfect matched to a good quality reel with a smooth drag. 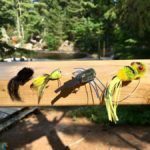 Bring multiple spools with flylines such as floating, intermediate and sink-tip. You need to be able to fish all parts of the water column based on conditions. 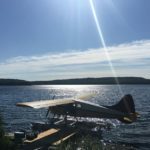 There are lots of excellent and affordable accommodations to stay at in this region along with public boat launches. 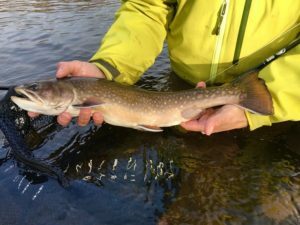 Many fly fishers like to wade along on the beaches, searching for schools of smallmouth that come into the flats. When light conditions are good, this can be a lot of fun.